Shoppers will be out in force this holiday weekend for all the Black Friday, Local Saturday and Cyber Monday deals. But maybe you have a friend with their head in the clouds? We have you covered with our list of eight gifts any weather weenie would appreciate. You and your friends may know you're a weather geek, but does the world? 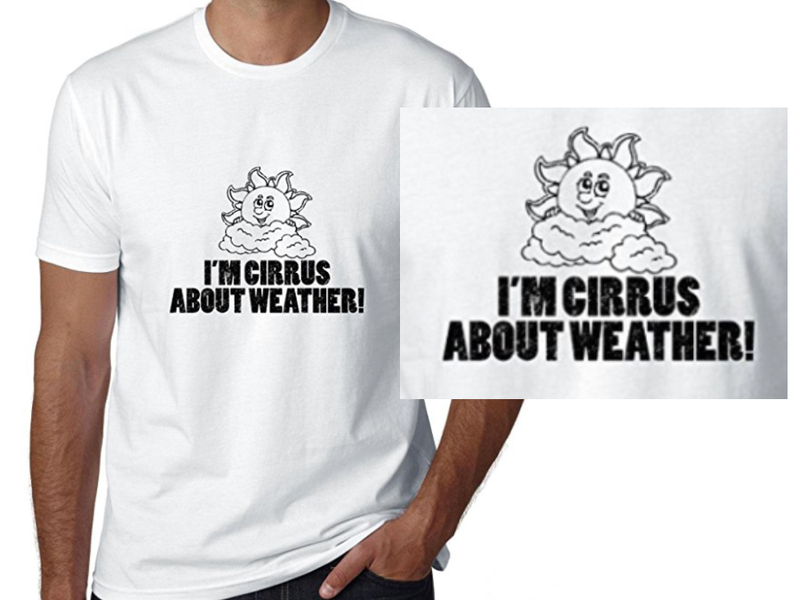 This shirt spells it out loudly and proudly with a clever pun to boot! Does your favorite weather geek have feet? Then they could probably use a pair of socks! 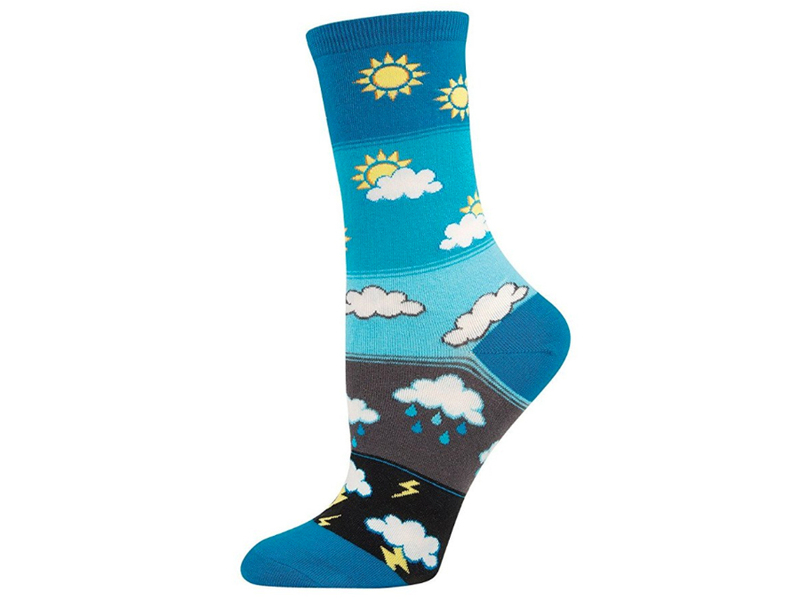 And these socks will let everyone know how much they love the weather. 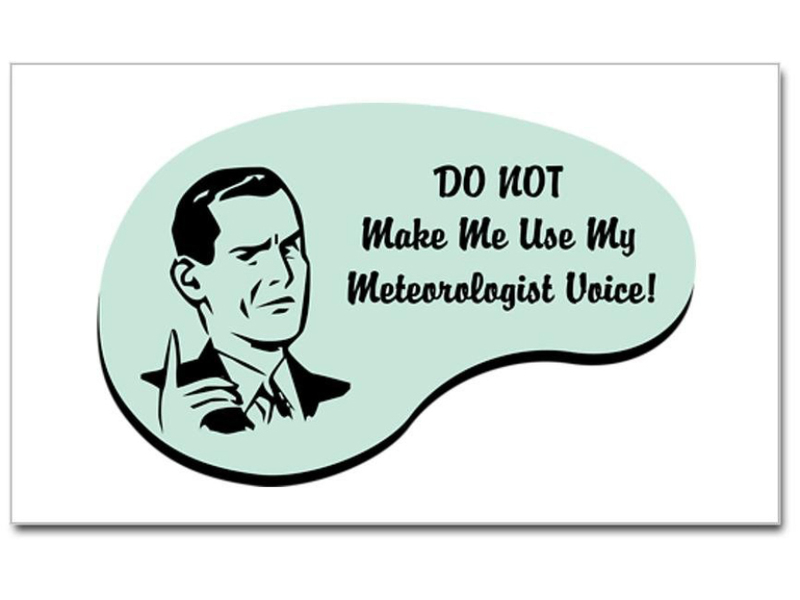 This is perfect for storm chasers, truckers and pretty much anyone else who spends most of their time in their car and watching the weather. The rest of their time is likely spent eating, sleeping, and admiring stellar bumper stickers like this one. In the paraphrased words of late comedian George Carlin, "Why do we need the temperature at the airport? Nobody lives at the airport?!" 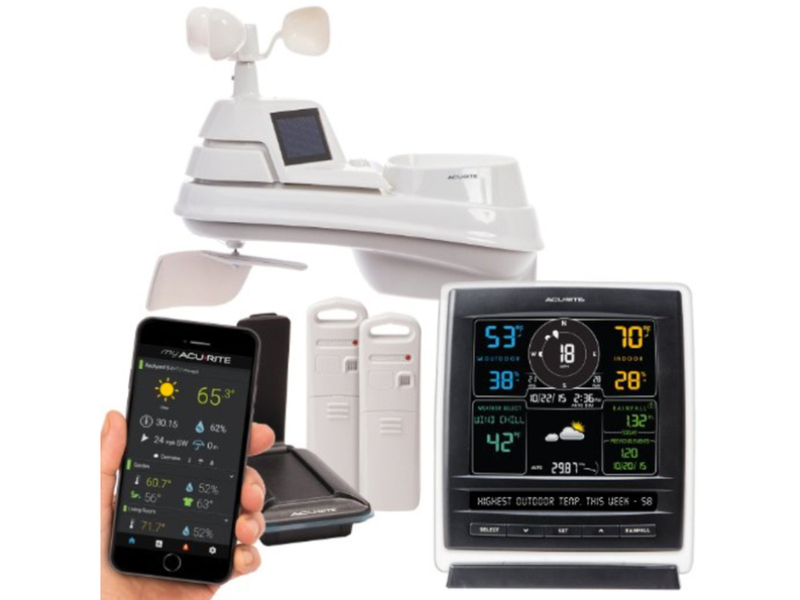 Now, your favorite weather weenie can know the temperature at their home with a wireless forecast station. They can set it up at their house and check the weather conditions on the go with their phone or in the comfort of their own house with the wall mounted panel. Live in a sunny locale? Despise all technological advances in time-keeping in modern history? 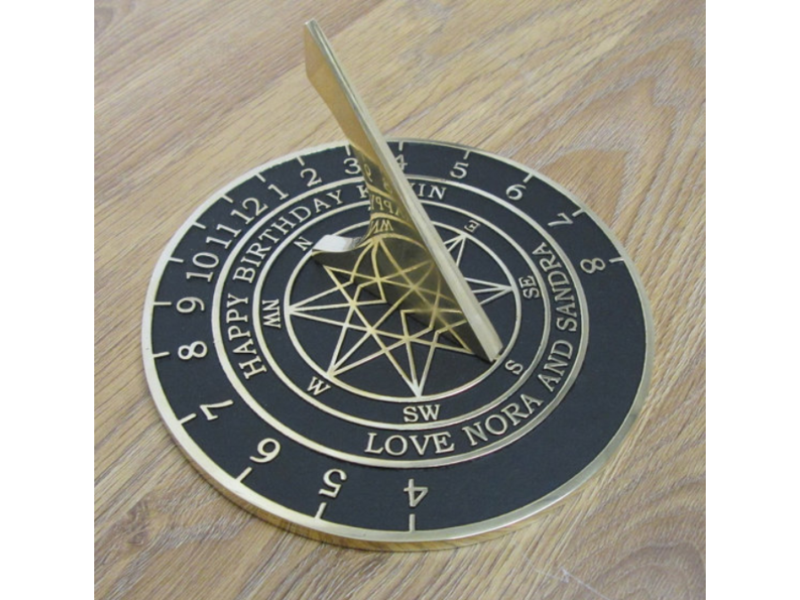 Then go way old school and tell time by using this sun dial. To top it off, it can be personalized. Maybe something fun like, “It’s dark, how am I supposed to know what time it is?" 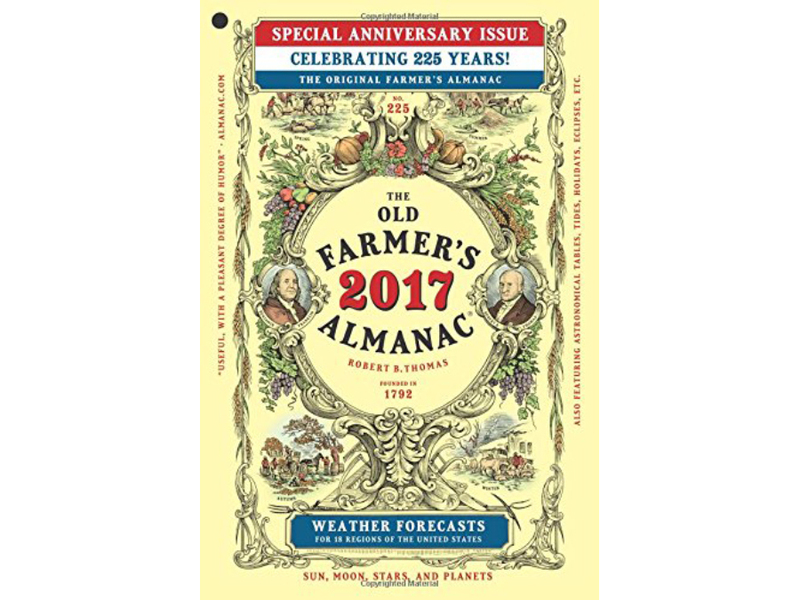 This is great gift for the really old school weather weenie, or someone who already has the latest technology looking for a piece of history. 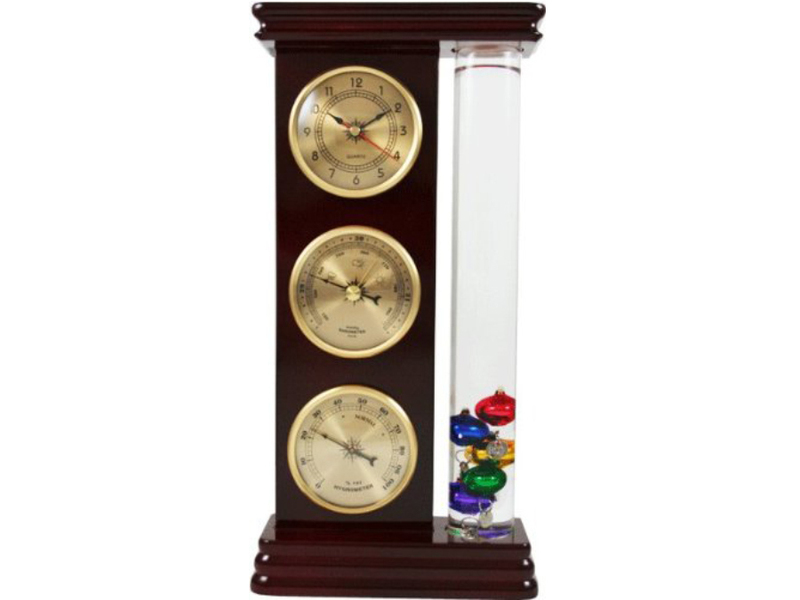 The three dials already show the time, pressure, and humidity. The colorful bubbles give you an accurate temperature reading. 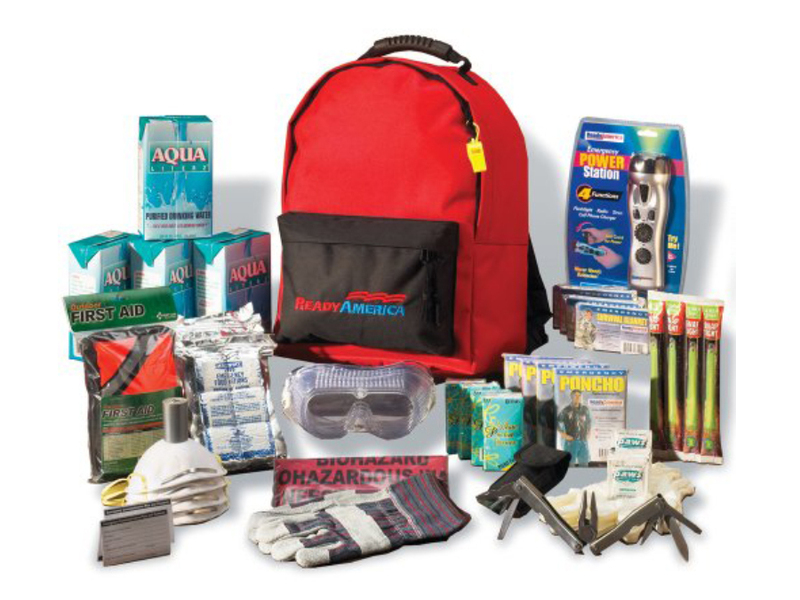 Here's a gift for the weather aficionado who also happens to be a doomsday prepper. What'll do us in? Nuclear winter? Catastrophic climate change? No matter what it is, they'll be ready! It's also good for when the next weather disaster strikes. This is actually something everyone should have because you never know when the next big tornado, hurricane or other weather catastrophe is coming. 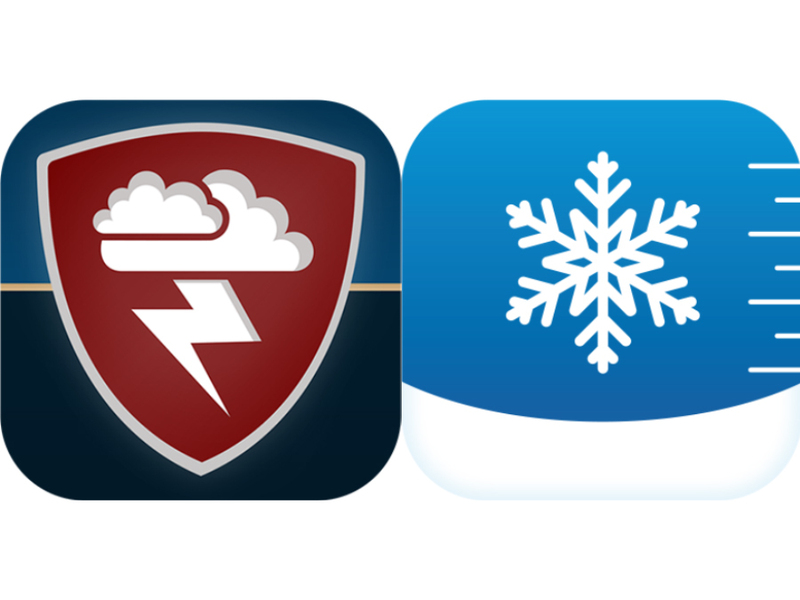 A weather app like Storm Shield or SnowCast , but we may be a little biased.